Help make a difference in thousands of lives! Courage For Life is all about embracing the God-given courage to take your next best step toward a Christ-changed life. When you give today, you’ll bring hope and courage to so many lives that need to move toward the life God has called them to. Through our proven training programs, here locally and abroad, we are helping people realize the courage found in Jesus. Your gift provides resources and training to equip these individuals. After 31 years of being in and out of jail, Jess met Jesus through the Courage For My Life curriculum and is continuing to take courageous steps toward Jesus. There are so many relationships like Jess’s that need to know God’s healing power … and you can help them experience it! We’re truly grateful for your generous response – your gift will be a real blessing to people like Jess and thousands more! 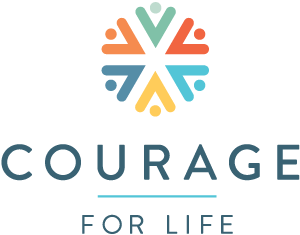 Courage For Life is a 501(c)(3) organization. Your contribution is tax deductible to the extent allowed by law.